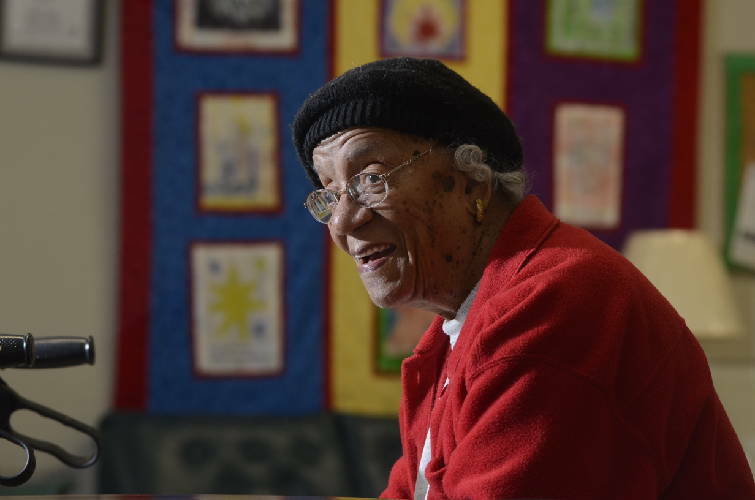 In this Oct. 4, 2011 photo, Dorothy Cooper, 96, discusses problems she had getting a photo identification card at the Hamilton County Election Commission in Chattanooga, Tenn. The Boynton Terrace resident plans to vote by absentee ballot, which will not require a photo ID. POLL: Should voters be required to show a photo ID? Dorothy Cooper, the 96-year-old Chattanooga woman who was denied a state photo ID now necessary to vote, got her state-issued identification today, a Tennessee Safety Department spokeswoman said. "She went in this afternoon and got her photo ID from the new driver service center in Red Bank," safety spokeswoman Jennifer Donnals said. "They serviced her before anybody else. They did not know she was coming." Donnals said officials had offered to make a special appointment for Cooper "or meet her there at a designated time, but she came unannounced." Cooper, who is black, was initially denied the photo ID despite having a birth certificate to prove her citizenship because her maiden name changed after marriage. She became a cause celebré for critics of a new state law requiring state or federally issued photo ID in order to vote beginning in 2012.